VIP Private View Invitation for LoVArts fans! 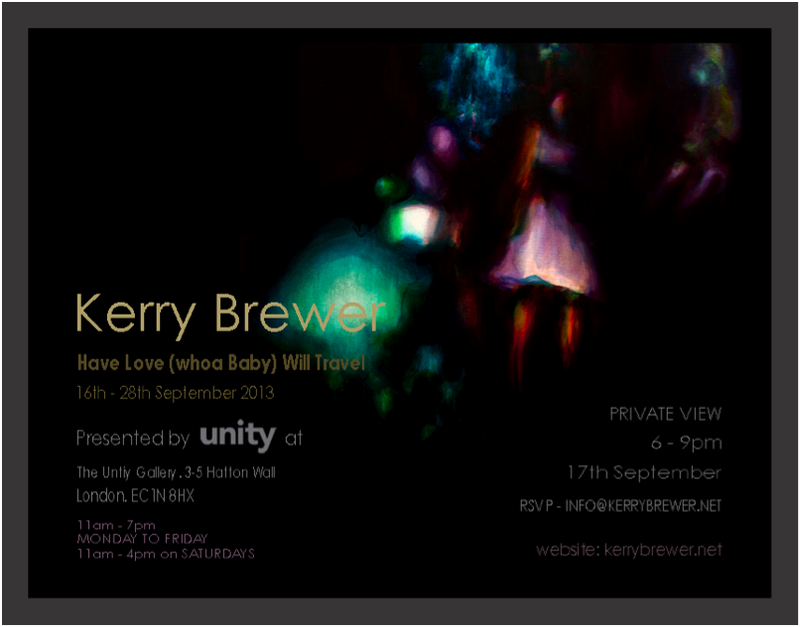 Have Love (whoa Baby) Will Travel opens at the brand new Unity Gallery in Farringdon on September 17th. Charged with mystery, her vertiginous paintings function in a unique space – relying on the technicalities of perception. Kerry Brewer’s work is synonymous with neuroscience. The work exhibited as part of the show explores the intersection of neural pathways and is a celebration of more than ten-years work in this world. Brewer’s paintings rely on the assumptive nature of our cognitive vision. Put plainly, our brains constantly work to match a tenuous piece of information from the eye with the database stored within our memory, built from every experience we’ve ever had. This process must occur instantaneously and will be brought to life in this stand-out show at the Unity Gallery. The show runs from 16th-28th September at The Unity Gallery, Unity 5-13 Hatton Wall, London EC1N 8HX. Please RSVP to Paul@HelloUnity.com if you want to attend on the 17th. The Private View starts at 6pm. We are going to be there! It would be great to see you! This entry was posted in Events and tagged Kerry Brewer, London, london visual arts, londonvisualarts, LoVArts, Private View, Unity Gallery, Visual arts. Bookmark the permalink.